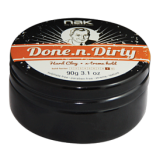 NAK Done n Dirty 90g (Finishing Clay) A finishing clay designed for lived-in looks..
NAK In Shape 90g (Shaping Paste) Shaping paste with medium hold. 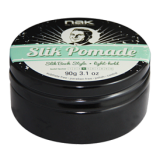 great for disheve..
NAK Outakontrol 90g (Matt Finishing Paste) Firm hold matt finishing clay. 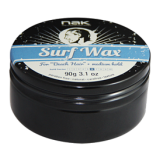 &nbs..
NAK Slik Pomade 90g A light-hold polish for a smooth slik finish with high shi..
NAK Surf Wax 90g (Matt Finishing Wax) For "beach hair" - medium hold matt finishin..
NAK Tough n Up 90g (Putty) A texture building putty for rough and unrefined looks ..